Enter a world of heat lighting and jazz, old radios and secret songs, the conversations that lovers have in the moments before dawn. 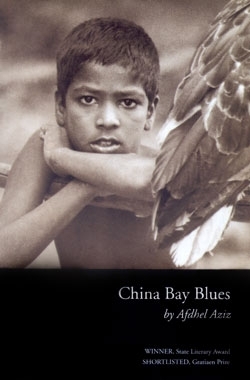 Afdhel Aziz draws on the rich imagery of his home Sri Lanka to create poems of simple intimacy, capturing the lush beauty of the country, as well as its darker sides. Twenty-four poems that transcend the tragedy of the tsunami that devastated the coast of Sri Lanka in 2004. With sensitivity and tenderness they address the questions that preoccupy the universal human condition. Aparna Halpe's poetry captures the nuance of personal journeys through loss, dislocation and exile, foregrounding the collective history of a nation and a people fractured by the lived experience of racial, cultural and class based conflict Precarious traces the journey from the comforting confines of home, to the chilling, ironic spaces of an adopted city - Toronto. Fittingly, the poems broker an uneasy truce between real and imagined belonging, returning full circle to the point of genesis. A recording of brief and witty, carefully crafted impressions of life as she lived it. Here is a collection of poems that reveal a country loved and known.